League of Legends is a PC MOBA currently in the middle of its North American LCS where 10 players, 5v5, fight on an isometric map with three lanes, using characters they choose before starting a match. There are more than 100 “champions” to choose from so the possibilities are pretty vast. Some are good, some are bad, but ultimately if you play well enough, even the worst “champion” can win you the game. 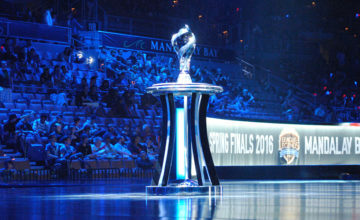 I know this is a new thing for Armed Gamer but I wanted to begin covering the North American LCS and eventually the EU LCS because eSports are a growing trend with DOTA 2 getting ESPN coverage back during its first 10 million dollar tournament and now ESPN has begun covering League of Legends. I know I am crazy late to the party with the LCS already being well under way. 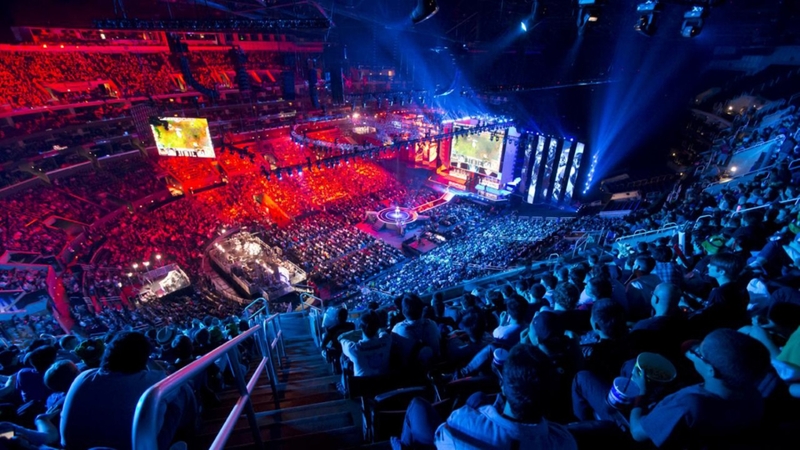 For those of you that do not know, the LCS is the League Championship Series hosted by the developers, Riot Games. 18 games are played over the course of eight weekends leading up to a small break, and then the World Championship where every nation in the world comes together and battles it out for a grand prize consisting of money and a cool trophy. This marks the sixth season for League of Legends and the previous world champs are, Fnatic (EU), Taipei Assassins (China), SK Telecom T1 (Korea), Samsung White (Korea), and SK Telecom T1 (Again). The winners are forever honored in the game with themed aesthetic skins for the characters they used in their winning match. This season LCS fans have been floored with miraculous plays from pro players such as Huni (Immortals) and Hai (Cloud 9). 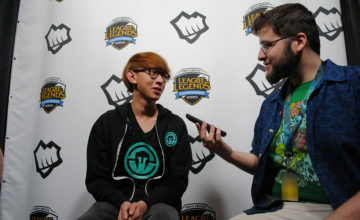 Some were eagerly awaiting how team rosters will pan out with changes to NA classic teams like Team Solomid and Immortals. The results are mixed, but I can easily say the best performer at this moment is a star-studded team known as Immortals (IMT). It has two former EU players (Huni and Reignover from Fnatic), a former Team Solomid player (Wildturtle), a former Chinese player (Adiran from LMQ who was rebranded to Team Impulse), and a well known mid laner for the NA team Counter Logic Gaming. The team is currently sitting undefeated in their first year together in the LCS and people are surprised at the results. You see, the players have all been great on their own, but no one has played this well on such a new team before. These players, with the exception of Reignover and Huni who are former EU LCS players from Fnatic, have had considerably less time to play together as a team compared to their competition. At 12-0 it doesn’t seem like much can stop Immortals. Their plays are calculated and only two teams have given them a run for their money. Every other match is a complete shut out of perfectly executed skill. The LCS is over halfway complete with the recent completion of Week 6. 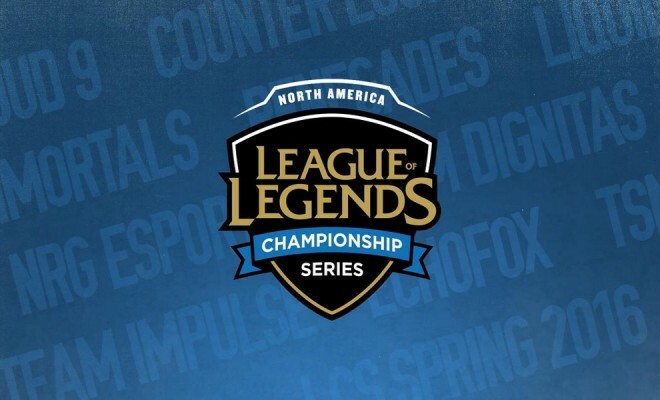 Games in the NA LCS are played on Saturday and Sunday. On February 20th the most surprising match was not from Immortals. 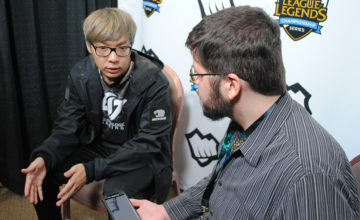 It was from Cloud 9 vs their NA rivals Team Solomid. A back and forth match of these long-time rivals was an intense game of huge team fights. Poor map awareness brought this game to a finish with Cloud 9 beating Team Solomid after an excellent fight in the middle lane leaving Team Solomid waiting to respawn in their base and two members of Cloud 9 left to destroy the enemy base and win the game. This intense match came just a week after Cloud 9 came off a hard loss to Immortals the week previous where they almost brought down the undefeated team but couldn’t pull it off. The top three teams are all in strong competition, but as it sits currently, Immortals are certainly the team to beat. In less-than-exciting news, the team with the most losses had a strong start but ultimately are failing due to inexperience and just bad game play. The new team Renegades recriuted the old Dignitas player Crumbz out from his recent departure from DIG. As a seasoned player he knows how the game is played, but it has been a long time since he was the best jungler in town. Adding to the team’s struggles, REN lose their support player, Remi who cited anxiety as being a factor for being unable to play. As the first woman in the LCS there is a lot of pressure to do well. I personally hope to see her playing in the LCS in the future. I would go into a summary of the other teams, but honestly that’s difficult because honestly everyone else is simply eclipsed by the top three teams. You can watch the NA LCS next week on the Riot Games twitch channel, here. Stay tuned for more coverage on League of Legends from Armed Gamer.